Tim Federle, the award-winning author of Better Nate Than Ever and Five, Six, Seven, Nate!, will release his first novel for young adults next year, and The Huffington Post has an exclusive first look at the cover. Billed as “a wry, winning testament to the power of old movies and new memories,”The Great American Whatever follows Quinn Roberts, a gay, wisecracking 16-year-old with a weakness for Jolly Ranchers and cute boys, who dreams of becoming a Hollywood filmmaker. When his home life is beset by personal tragedy, Quinn embarks on a “laugh-out-loud sad” journey of self re-discovery with the help of his straight best friend, Geoff, and a new love interest. Check out the cover below, then scroll down to keep reading. Federle had a mature audience in mind when he began writing the book, originally titled Quinn, Victorious, five years ago, basing the plot on his personal experiences as seen through characters in their mid-20s. The success of the two Nate books, which are geared toward middle-grade readers, inspired him to trim 10 years off Quinn’s age and emphasize the character’s defining, post-adolescent moments instead – including brushes with self-doubt and an early sexual encounter. Still, he hopes the new book, which is shades darker than Nate but no less droll, will resonate with grown-ups as well as young adults. In the two years since the release of Better Nate Than Ever, the 35-year-old Federle has established himself as a prolific scribe whose breezy wit isn’t bound to a single genre. The former Broadway dancer has also penned two bestselling cocktail recipe books, Tequila Mockingbird: Cocktails with a Literary Twist and Hickory Daiquiri Dock: Cocktails with a Nursery Rhyme Twist; his first picture book, Tommy Can’t Stop!, was released in April. 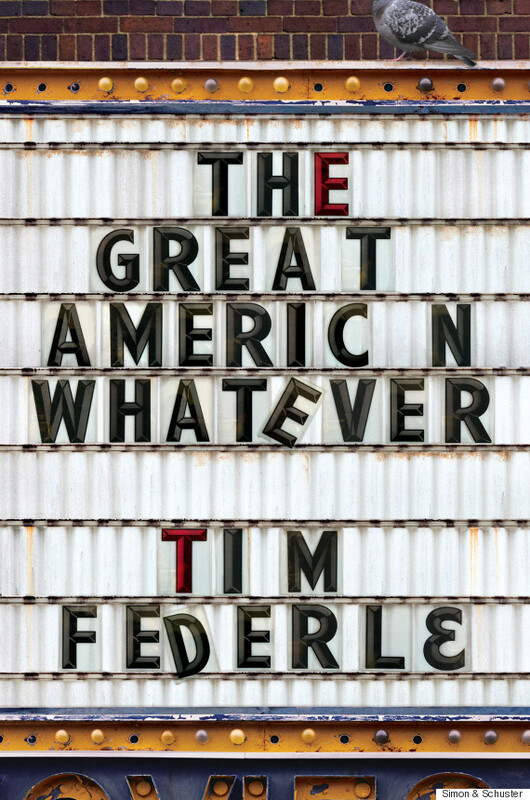 The Great American Whatever hits shelves March 29, 2016.